“No guard called us nasty names. I had a better life as a prisoner than my mother and sister back home in Germany,” said the former POW. Steve Ringman/The Seattle TimesGünter Gräwe points to the barracks where he was once kept prisoner. 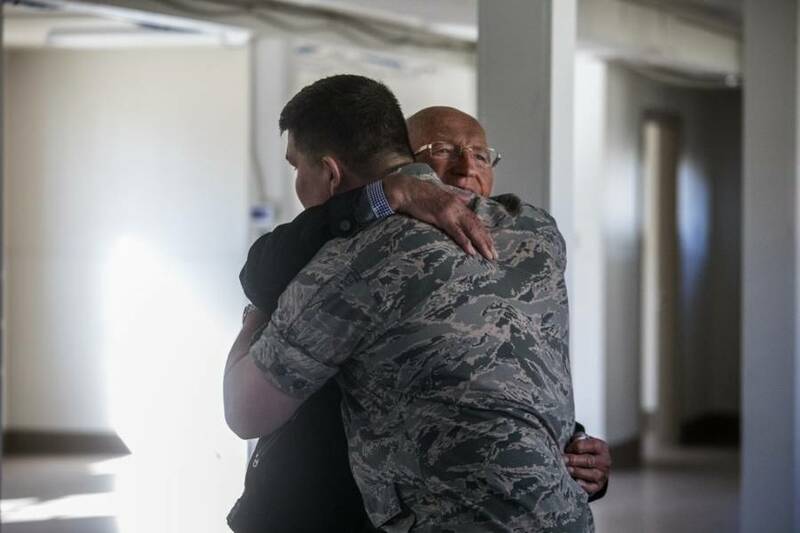 Rather than with sadness or anger, a 91-year-old German World War II veteran recently returned to the Washington base he was kept prisoner to affectionately remember his time there. 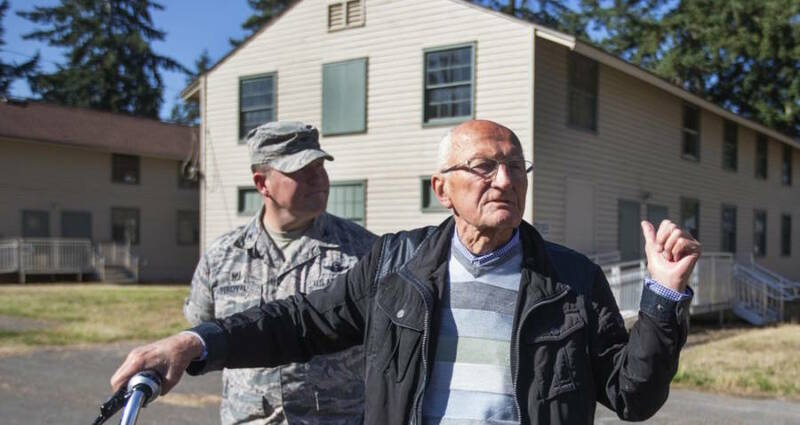 The Seattle Times reports that Günter Gräwe, a 91-year-old German WWII veteran who was captured by the Americans at Normandy, visited the Washington prison camp he was held in earlier this month to reminisce fondly about his time as a POW. However, Gräwe was quickly confronted with the realities of war when he was deployed to France to fight the Allied forces, where many of his friends died. “It was a terrible fight in Normandy — it wasn’t what we expected, and we were young and inexperienced,” Gräwe said. After a grenade hit his tank and he was recuperating from an injured foot, Gräwe was captured after American troops overran the hospital tent camp he was in. He was taken prisoner and sent to an American prisoner of war camp back in the states. Though it is not often remembered, over 400,000 German soldiers were kept in POW camps in the United States throughout the course of WWII. Overall, historians say these prisoners were treated well, with some describing their imprisonment as a “golden cage“. 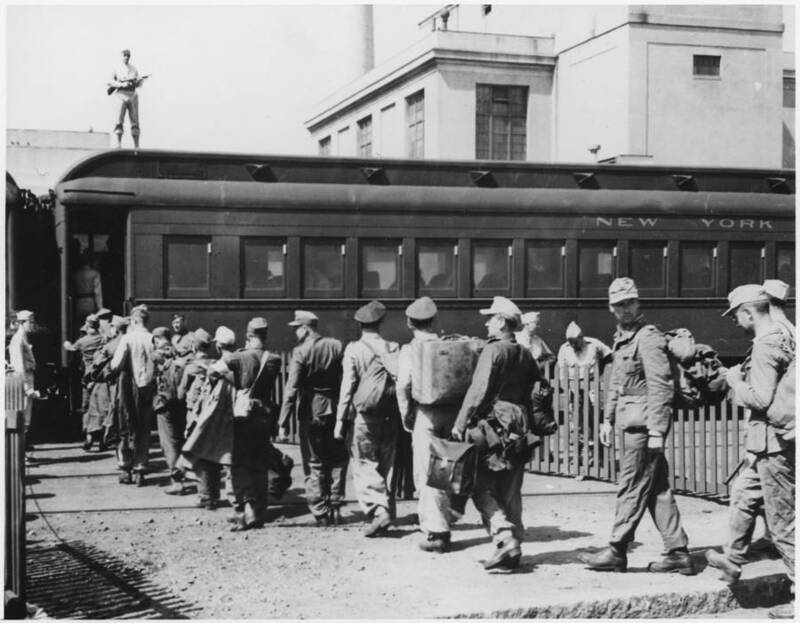 Wikimedia CommonsGerman POWs board a train in Boston during WWII. Though prisoners were forced to work on canneries, mills, farms and other places deemed a minimal security risk; they were compensated at the same rate as US soldiers with currency they could spend at commissaries in the camps. While many in the US protested what they saw as coddling of enemy soldiers, the government believed that by keeping to Geneva Convention standards they encouraged foreign enemies to treat American prisoners better. While at the camp, Gräwe remembers taking English, French, and Spanish classes organized by other POWs and eating chocolate, ice cream, and Coca-Cola bought from the camp commissary. In 1947, two years after the end of the war with Germany, Gräwe was released and returned home. He started a family and traveled to the US on business numerous times. It was only after his wife’s death in 2016 that he decided to revisit the camp where he was once a prisoner. 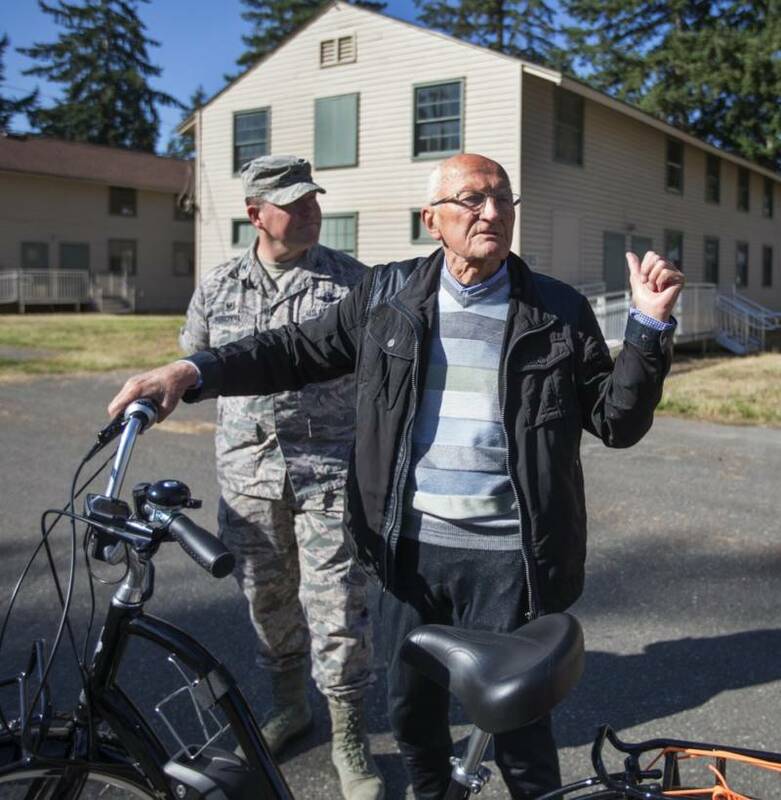 After corresponding with HistoryLink, a Seattle-based online encyclopedia that chronicles the state’s past, he traveled to Joint Base Lewis–McChord, an army base that included the Fort Lewis prison camp. Steve Ringman/The Seattle TimesGünter Gräwe hugging Col. William Percival. On October 3rd, the 91-year-old veteran rode into the secure army base on an electric bicycle with signs that read, “USA, the country and its people, you are my first and final love!” hung on both sides of the back wheel. He was greeted with a handshake and a hug by the base’s deputy joint commander, Col. William Percival. Next, check out these harrowing photos of prisoners of war throughout history. Then, learn about the dark secret of America’s WWII German death camps. Was "Jack The Ripper" Merely A Creation Of The Newspapers?